The Sentinels are some of the worst foes in X-Men history, dogging the characters since their origins in 1965. 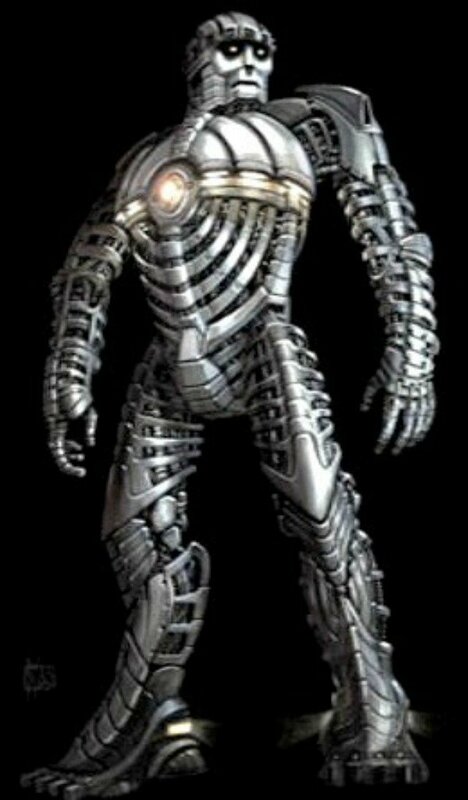 But the movies were slow to incorporate the metal baddies given their cost, and only now have we seen them in X-Men: Days Of Future Past. However, director Bryan Singer had long planned to incorporate them into the films, even figuring out how they would fit into X2: X-Men United. Guy Hendrix Dyas and Ricardo Delgado were tasked with coming up with Sentinel conceptual designs, and they've revealed those to FilmSketchr. 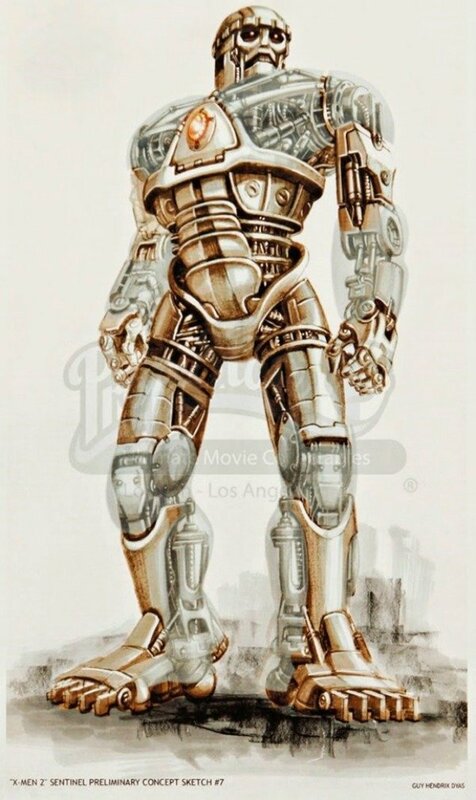 You can catch your first glimpse of what these villains were meant to look like, before Bryan Singer and Fox decided that the extra $8 million required to visualize these robots for X2 was just too rich for anyone's blood. 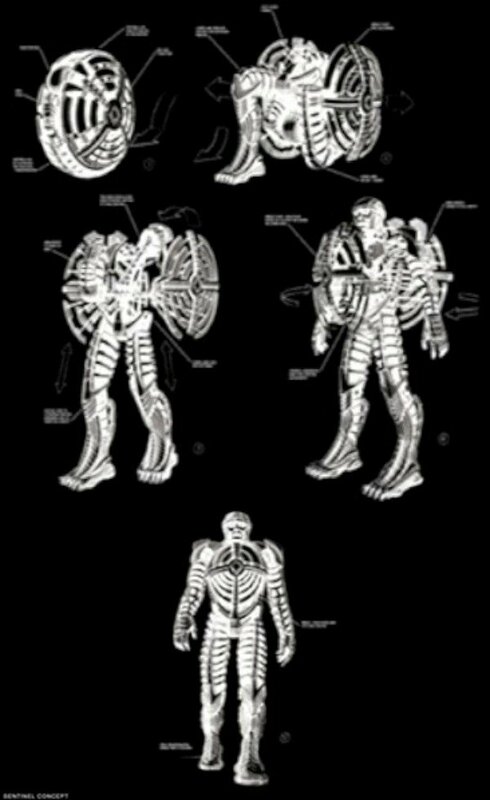 Much like the designs in the current film, these versions of the characters have a circular inner motor. But while the current Sentinels, designed in alternate reality 1970's, are more massive and clunky, these proposed designs would have them able to morph, shifting into the shape of a ball. Which, admittedly, is a pretty baller way to get around. Those are some pretty fearsome designs, and certainly they would have been more threatening to the mutants in X2, who ended up having to take on a group of black op renegades that Wolverine turned into mincemeat. 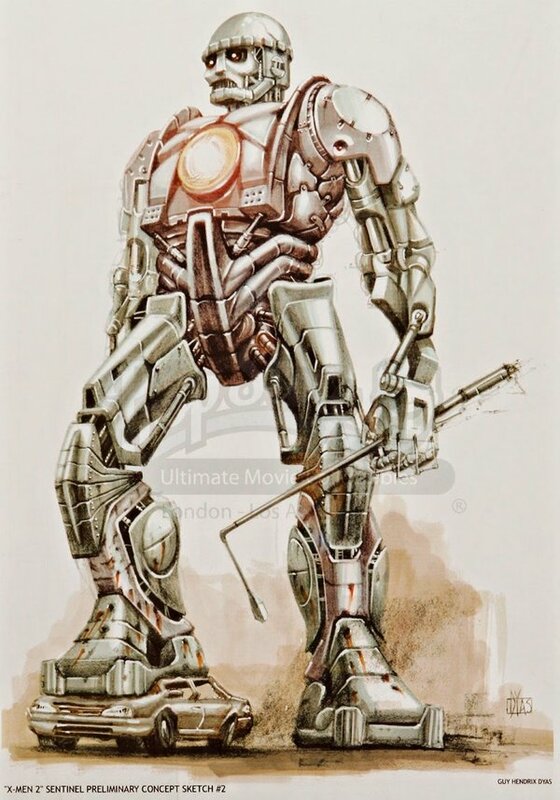 Ultimately, Singer's plan had the Sentinels introduced in the seventies, evolved into the early aughts enough to shift into different shapes a la Transformers, and eventually arrive at the lethal futuristic versions that can change on a microbiological level somehow. Man, Singer knows a whole lot about killer robots. Makes ya think! Click here to see more Sentinel designs from X2: X-Men United!